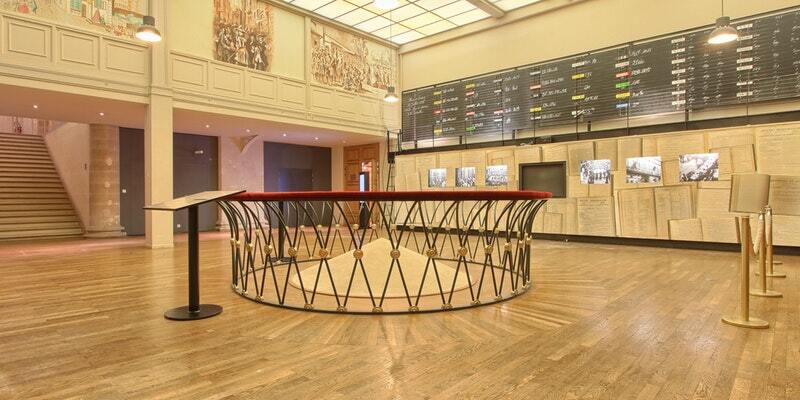 ACTIVE ASSET ALLOCATION and the competitiveness cluster FINANCE INNOVATION are pleased to invite you to participate to their next Breakfast Conference, at Palais Brongniart in Paris, Wednesday 28th of march, from 8h30 until 10h30, to share and discuss (in French) about AI AND THE DIGITAL TRANSFORMATION OF ASSET MANAGEMENT PROFESSIONS. 09h20 – How to reconcile fundamental management, maximum loss risk management and mass-customization ? Adina Grigoriu, Co-Founder and Managing Director – Active Asset Allocation. 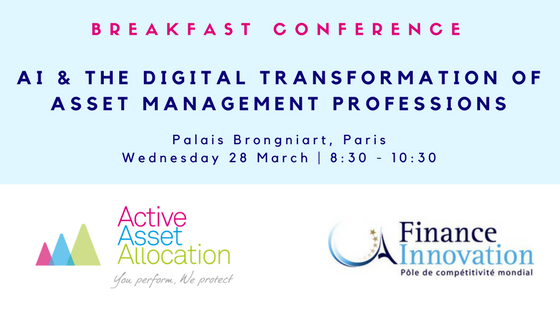 09h45 – Digitalisation of Asset Management Professions. Panel discussion moderated by Patrick Seifert, Partner – Chappuis Halder.